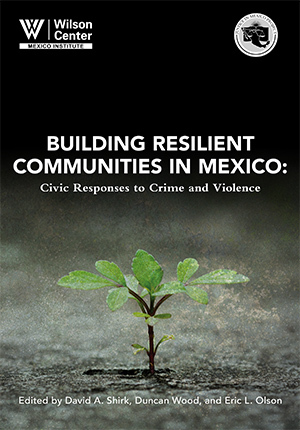 “Building Resilient Communities in Mexico: Civic Responses to Crime and Violence,” offers concrete policy options for government leaders in Mexico and the United States to build on current civic engagement efforts to strengthen the rule of law and improve security in Mexico. The book examines ways to enhance civic responses to violence in Mexico, increase civic engagement with the state in promoting the rule of law, and help to shape public debate on the issue more broadly. 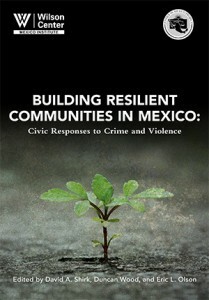 In light of recent concerns about the desperate measures taken by vigilantes and armed self-defense groups in rural Mexico, this new book provides a timely effort to evaluate the constructive responses of Mexican society in the face of years of crime and violence, bringing together experts from the United States and Mexico to consider a variety of related issues.